Adoptee City is my online community of adult adoptees who I have come into contact with over the years. Some live in the USA, and some across the world. Adoptee City filled with all different versions of adoptees, who all come from so many different experiences, yet line up with a common denominator of being ADOPTED. I entered ADOPTEE CITY online in 2011. It was a whole new world to me. Finally, others who could understand me. If you’re not adopted, you are the outsider looking in of ADOPTEE CITY, finally we are in control of something. We have a bond, we have a heart for one another’s pain, experiences and visions. We can FEEL what one another is going through when we go through things. We know how critical listening is, because for many of us we’ve waited our entire lives for someone to listen. We know how important listening is! I have learned over the years, I have my fellow Adoptees back, at all costs because I know what it feels like to be them. To be silenced by a world that glorifies adoption. I’ve always given them favor, because it’s about time someone be on our side, right? I’ve spent years encouraging them, lifting them up and letting them know they aren’t alone. So many of them have returned this same love to me when I have been down and out. I will be forever grateful. What would we do without one another, really? I know I wouldn’t be where I am today without you all, THANK YOU! I love you! My heart has never been set on educating adoptive parents, or birth parents and I haven’t made it a mission in my life to do so. I simply do not have this gift. You can see by the thread I was tied into yesterday I don’t have this gift. HAHA. If I’m honest I don’t appreciate the burden that’s been placed on my shoulders, OUR shoulders that it’s our job to teach them how it feels to be adopted like it’s expected of us. It’s not that I don’t’ want to help them, it’s because my focus and heart has always been on reaching the hurting Adoptees who are in really sad and dark places. I was once that Adoptee, and still have moments like this. If I’m honest, I have them frequently. I am learning that sometimes God puts us in positions where we are going to be uncomfortable, and in this uncomfortableness is when we grow. I believe God gives us each gifts and it’s up to each of us to tap into those gifts, and use them in a way that helps other people. For me, my gift was relating to and making safe spaces for Adult Adoptees to share their stories. How have I done this? I’ve created numerous platforms online where adoptees feel safe in sharing their stories and I’ve founded an adult adoptee support group that is being planted all over the USA soon to be in another country. I’ve done this by sharing my story via my blog, and being interviewed by podcasts and having my story featured in other online safe spaces. Not saying because I want any credit, just saying because THIS IS MY CALLING. I’m walking it out and sometimes I still feel alone, even when I have an amazing supportive ADOPTEE CITY behind me cheering me on. I believe it might be because my vision isn’t anyone else’s vision and they don’t see what I see? I remember about 2 years ago, I felt like God was telling me that YES, I’m going to continue my online Adoptee City work, but I’m also going to do something IN REAL LIFE, IN MY COMMUNITY which I will call my real-life Adoptee City. I had no idea what this would look like, but it’s been in the back of my mind for years, festering but God always reveals his plans for us. Sadly, the world can discourage us and even some of those who are in our ADOPTEE CITY can discourage us. I’ve encountered backlash because Adoptees Connect is adoptee only and not open to adoptive parents and birth parents. I’ve received a very small amount of backlash for creating Adoptee Merch. as well and I’ve learned it’s okay, as I already said my vision isn’t everyone’s vision. We will always have critics but navigating this a few things have come to my attention. Most of the time when an adoptee from Adoptee City comes out of the woodwork and tries to shut down other Adoptees ideas, it’s for 2 reasons. 1.) They have a vision of something they want to create themselves, and they are seeing another adoptee create this vision, but not exactly like the vision they have. In other words, they have an idea in mind, but instead of pursuing it they are shooting down other adoptees for doing something similar because it’s not exactly like the idea they have in mind. 2.) Lack of support in sharing their own ideas and fear of the unknown sets it, so they lash out at others who do have support and ideas that are prospering in the online adoptee city movement, and even reaching outside the online Adoptee City movement into the real adoptee cities in our communities in real life. Fear is crippling. Fear of those who are in the same adoptee city as you is even more crippling and it paralyzes us from pursuing the calling God has on our lives. If you don’t believe in GOD, it still paralyzes you from the calling that has been placed on our lives. I believe each and every adoptee in this world has come equipped with a special gift and ability that will not separate or divide our community but bring us closer together. Does that mean we will all agree with those visions or gifts? Absolutely not, but this is a question I have for you. Are you dividing Adoptee City or bringing it closer together? Whatever it is on your heart to pursue to advance Adoptee City, is that bringing us closer together or dividing us from one another? Do the words you use in online Adoptee city forums when communicating with your fellow Adoptees do you come from a place of compassion for those Adoptees who don’t think exactly like you, or are the coming from a place of anger and rage tearing one another down? We’re all on the same team, and nothing saddens me more than seeing Adoptees fight with one another. Please don’t mistake my above paragraph as if we don’t have a right to have anger and rage. WE ALL DO! We’ve all heard “It’s not what you say it’s how you say it”. What did I do? I got mad, and angry. What CRAP THIS IS! Someone telling me I need to NOT BE ANGRY! I got an attitude, and didn’t really like what she said. But then in time I began to really think about it and realize that she was correct. If I wanted to share my message, I needed Grace. I began to pray for GRACE. It took me YEARS and I still fall short daily. Adoptive parents and birth parents are in a category where it’s harder for me to show them grace, I can’t lie. I’m a work in progress. Every day I wake up, and I want to show them grace. I want to show them grace even when I don’t agree with them. Even when we come from totally different spectrum’s in the Adoptee arena. I know the place of pain they speak from, so even when they are angry and rage filled shouting it all over ADOPTEE CITY, I get it. I understand because that was once me and some days it’s still me! My question is, ARE YOU DIVIDING ADOPTEE CITY OR BRINGING IT CLOSER TOGETHER? Do you respect the views of your fellow adoptees who are in the same Adoptee City as you or do you spit on them because their views aren’t the same as yours? Do you respond to posts in online Adoptee city with the stance of BEING RIGHT, or BEING UNDERSTOOD? What are your motives in sharing your voice in Adoptee City? Is it possible we take away the mentality of “I’M RIGHT VS THEY ARE WRONG” and just show compassion and love for one another right where we are at? Sadly, so much of ADOPTEE CITY is divided because we lack understanding for our fellow adoptees calling and visions to move ADOPTEE CITY forward. We are sometimes our own oppressors, and judge one another by being very harsh critics of one another. Can we agree to disagree without being mean spirited to one another? The last few months I have had my share of experiences with those who don’t support or agree with my visions and that’s totally okay. I love them anyway but I also refuse to allow those same people in my life who want to slander my name, talk about me behind my back and NEVER ONCE contact me to talk about my visions or to even see where they come from. Thankfully I have a HUGE following of adoptees and even some birth parents who support me, and they have outweighed any of those who want to slander me behind my back. If you have an issue with me, or what I’m doing, CALL ME!. Let’s talk about it in an adult manner where we can share our views and come to a common place of understanding. If you have never talked to me about my visions, you really have no place talking negative about my visions all over Adoptee City when you only know what you see, and not the truth. I’m willing to discuss anything I’m doing with anyone. LET’S TALK! But let me be clear, I don’t do drama! Talking negative about one another, shooting one another’s ideas down is only counterproductive to ADOPTEE CITY ever moving forward. WHAT ARE YOU DOING FOR ADOPTEE CITY? WHAT ARE YOUR DREAMS, VISIONS AND GOALS TO MOVE OUR CITY FORWARD AND OUT OF A PLACE OF OPPRESSION? Is your gift legislation? Or helping hurting Adoptees? Or running an online safe space for adoptees? Starting a all adoptee support group? WHAT IS YOUR GIFT? I think part of the reason people are like this online is because that’s just it, it’s ONLINE. Someone can lash out at you and shut the computer down, or x out of an APP and go about their merry way, never having to take accountability for the actions they spill out against their fellow adoptees online. Some people don’t have a gift of understanding, or empathy. They just don’t. They are right at all times and this mentality only hurts our community. Let’s be honest none of us are right at all times. NONE OF US. My experience in being a voice in ONLINE ADOPTEE CITY for approx. 7 years is that there are good parts and not so good parts about adoptee city. It’s up to each of us to navigate our own lives, dictate who we allow in our lives and who we don’t. Today I am not dealing with those who want to shoot my ideas down in a negative way, talk about me behind my back instead of come to me and talk like an adult. I don’t have time for it. I have way too many positive things going on than to focus on who has a problem with what I’m doing. I’m not saying I’m not going to talk to anyone that doesn’t agree with me or support me. I’m saying I will not talk to those who attack me. As I said, CALL ME IF YOU WANT TO TALK. We will always have those who don’t agree with us, and that’s part of life. I accept it and I’m okay with it. I know my visions aren’t everyone’s cup of tea, I’m not everyone’s cup of tea but I won’t deal with vicious attacks from anyone. You will be shut down and you won’t get a response from me. My visions will continue to move forward to BETTER ADOPTEE CITY in ways that bring us closer together. I have no time for those who want to divide. Dedicating 7 years of my life to ONLINE ADOPTEE CITY, it’s been a whirlwind as it has for most of us. Some days I want to run and hide, and I do. I’m sure we all do! Other days, I want to share my voice no matter where it comes from, a place of pain, a place of purpose or even a place of victory! What I have decided is that for 2018 I’m at a place where God is doing MORE in my life than ever before. Not for me, but for my REAL-LIFE ADOPTEE CITY community. I feel a shift coming on and that’s one that is going to navigate how to incorporate REAL LIFE ADOPTEE CITY into ONLINE ADOPTEE CITY. I feel spread thin, and like I have a ton of doors open all at once, and that’s probably because I do. I feel that in the near future I will need to think about handing over some of my online adoptee city responsibilities that are a great resource to the online adoptee city world and release certain things to adoptees I know, love and trust to do a good job because I can only do so much. In the coming days, weeks I will have to make a decision to minimize my load in ONLINE ADOPTEE CITY which will free up my time for my REAL LIFE ADOPTEE CITY. Stay tuned. My focus now is Adoptees Connect- Lexington, KY, and Adoptees Connect support groups that are so desperately needed in every city in every state in the USA and even around the world. This is very time consuming, lots of networking and sharing information, etc. Adoptees Connect- Lexington, KY is REAL-LIFE ADOPTEE CITY to me, and it’s a place I want to build relationships, stories, experiences, to empower one another. I have made the decision to make this priority in my life because the feeling of aloneness, so many adoptees feel needs to be a thing of the past. Online Adoptee City is wonderful, but REAL-LIFE ADOPTEE CITY is a much deeper connection with your fellow adoptees and I feel we all need that as well as online adoptee city. In a perfect would I could handle both full fledged and never have any issues navigating them all together. That’s not the world I live in, we live in. I want to say I hope and pray that 2018 is the year of ADOPTEE CITY coming together to support one another, lift one another up and encourage each other no matter what visions we have in life regarding Adoptee City. You don’t have to necessarily agree with someones vision in order to offer them a blessing of support as they navigate new territories. If you are adopted I will do whatever I can to support you in your visions! If you are an adoptee reading this, and you’ve been in fear of starting something to bring us closer together I encourage you to step outside of that fear and put your visions, dreams and goals into action. Adoptees will either support you or they won’t. I’ve learned from my own experience those who support me are FAR MORE than those who don’t. We MUST Keep pushing, keep moving forward. 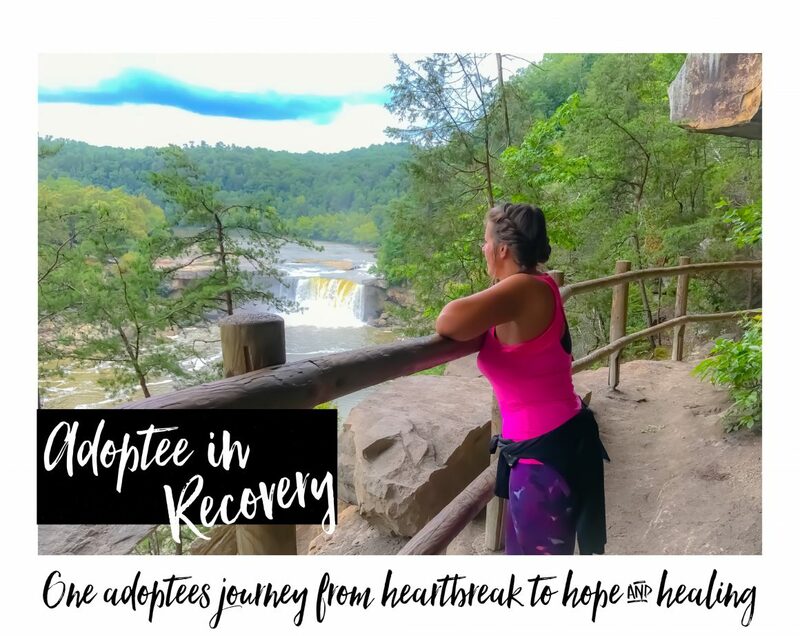 My purpose of writing this article is to share my experience and let all my fellow Adoptees know who have been along this ride with me that I love you all, I appreciate you all and you mean the world to me. We’ve been through some crazy things together. Your support means so much! Bottom line is we’re STRONGER TOGETHER and I’m calling 2018 to be the year we come together like never before. Online and offline. It’s the year we support one another so we can all use the gifts that have been instilled in us, based on our very personal stories in ways that will grow Adoptee City. In return we will be a light to help other Adoptees who can relate and in return they will be able to use their gifts, and grow, etc. For 2018 Let’s bring visions to life!